Kansas City News and official KC news articles by KCMB on Royals, Chiefs, neighborhoods, restaurants, MU, KU, Kansas City charity events and fundraisers, ufo sightings, dui checkpoints, weather, politics and government, power and light district, concerts, entertainment and other official Kansas City news from your KC news leader KCMB. Is this the beginning of the end for the Royals? 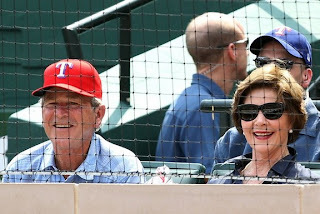 After a nice start to the 2011 campaign, Kansas City was swept over the weekend in Texas, dropping the Easter day game 8-7. As Royals fans, we are always waiting for the other show to drop, or the 15 game losing streak to begin. Though the good guys showed some signs of life, the Rangers bats were too much to contend with. The Rangers scored 22 runs in the three game series, by far the most given up by the Royals in a series this season (Cleveland scored 20 runs over a FOUR game series). Bruce Chen was the victim on Sunday. Chen, who has been electric to start the season gave up 6 runs in 4 and a third innings - far and away his worst outing of the season and dropping his record to 3-1 on the season. A six run 5th inning by the Rangers did in the Royals, who did however mount a furious comeback in the final two frames to fall by 1. Mike Aviles hit two home runs and stole a base for his best offensive performance of the season. The road trip continues on Tuesday with a three game set at division leading Cleveland before returning home for the weekend. 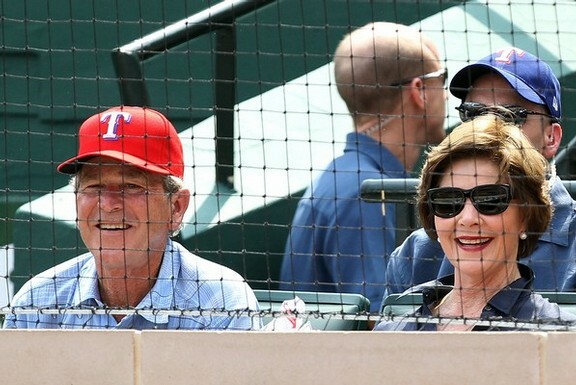 Of note: in attendance at Easter Sunday's game was former President and former Texas Rangers Owner George W Bush (pictured above). This is a legally confirmed "open forum" website that is not responsible for any content posted within. The opinions, articles and comments on this site do not reflect the opinions of the owner of this site, or it's subsidiaries. See What's HOT in KC Now! Comedy Radio is BACK in Kansas City! Kansas City News, Official KC News, Chiefs, Royals, Charity Events, MLB All Star Game 2012, MU, KU. Awesome Inc. theme. Powered by Blogger.